Photo: Nils Fabiansson © All rights reserved. 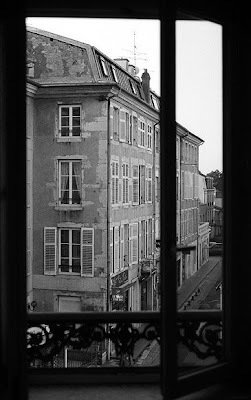 View from Hôtel Relais de la Poste in central Pont-à-Mousson. A small, rather nice (and with nice staff) and rather cheap hotel very central in the town, and therefore a bit much noice from the trafic, but nevertheless with a nice bar at by the street. It is close to Regniéville and Bois-le-Prêtre (and not too far from Les Éparges).